I was recently talking to a buddy of mine about personal finance when we ended up on the topic of saving money. He knew he needed to save more money, but was having trouble actually doing it. To him, saving money came down to self-control. As he explained it, he was struggling to save more because he couldn’t resist the urge to spend. If he could just avoid buying the latest gadgets or going out to eat so often, he’d definitely be able to put more money away – or so he told himself. In short, saving money came down to willpower. If he wanted to save more, he needed to will himself to do it. I’ve always seen it a little differently. I’m admittedly a terrible budgeter. I don’t give every dollar a job. And while I track my account balances regularly using both Mint and Personal Capital, I rarely, if ever, actually sit down and review my spending. I’m also horrible at self-control. I go out to eat all the time. And if I see something that I want that isn’t too expensive, I’ll just buy it without much thought. Despite what appears to be a total lack of budgeting, my savings continues to grow by leaps and bounds. In 2016, I saved over $33,000, which is more astounding when you consider that I took a $50,000 pay cut in the middle of the year. In 2017, even with my pay cut, I still managed to save over $31,000. My ability to save doesn’t have to do with willpower or self-control. Instead, it’s all about the systems I have in place to make my pool of money look as small as possible. You don’t need to exercise self-control because a computer can do all of the saving for you. I’ve always thought that saving money is a lot like eating food. 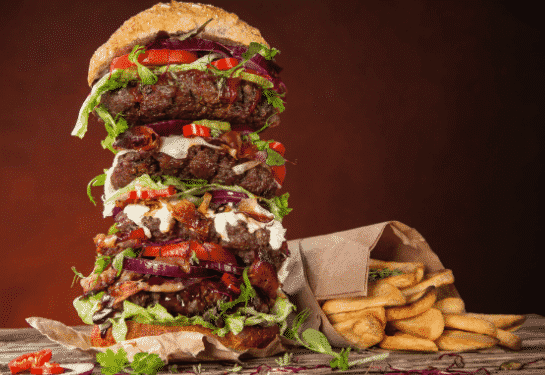 When it comes to food, most of us will pretty much eat whatever is put in front of us. Give your average person a huge plate of food and they’ll probably need to eat all of it before they feel full. Put a smaller plate in front of that same person and they’ll probably start feeling full once they’ve finished that smaller plate. It’s a weird psychological thing that our brains can’t seem to avoid. (Source: The Journal of the Association for Consumer Research). Put this in front of you and you’ll need to eat all of it before you feel full. Money works in pretty much the same way – we just sort of make do with whatever is put in front of us. If you give me $2,000 per month to spend, I’ll probably figure out a way to spend about that much every month. Cut that down in half and I can probably figure out a way to work with that too. Your brain will just sort of trick you into working with what you have. If you think this isn’t true, just go back in time and look at what you did when you were a student. You probably didn’t have all that much money back then. Things that are necessities now – the big house, the luxury apartment, the car, the nice clothes, the better food – just didn’t seem all that necessary back then. Your portion size was just smaller, out of necessity obviously, rather than choice. You can save more if you can just control this portion size. It has nothing to do with self-control. You just need to make your portions smaller. The secret to saving is setting up an automated system to get that money out of your hands as fast as possible. We all start out with what I think is a pretty big plate – our paychecks. If you let that money sit in front of you, you’re going to find ways to spend it. The great thing is that with technology the way it is, it’s easy to get that money out of our hands quickly. Below is an example of how your savings can be automated. You’ve got money coming out of your paycheck in the form of 401k deductions and things like that. Those are great ways to keep that plate smaller since you never even get a chance to spend that money. Money that actually arrives in your checking account should also be moving towards other places in order to keep your money plate small. I have set amounts that I take out of each paycheck for Roth IRA contributions and long and short-term savings goals. This gets the money out of my hands so that I’m not tempted to use it. I then use microsavings apps like Albert to squeeze out just a little more savings from my checking account. 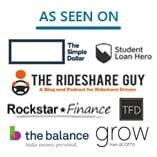 By setting up an automated system like this, you’ll naturally reduce the amount of money that you actually have in your hands. Your plate is getting smaller. No self-control involved. Instead, you’re just tricking your brain to get used to living on the smaller amount. Saving money doesn’t mean anything if you’re just going to dip into your savings whenever you want to buy something. That’s why you need to make sure that any money you save is in a place where you can’t reach it all that easily. Employer-sponsored retirement plans are a great example of how you can make your money hard to get. You set a percentage to save – preferably as high as you can – and you never see that money in your paycheck. Since it’s not all that easy to pull money out of your retirement accounts, you’re much less likely to touch it. This is another reason why I recommend saving your emergency fund in a 5% interest savings account with Netspend. Not only are you snagging 5% interest, you basically add another layer between you and your savings. That small layer makes it much less likely that you’ll dip into your emergency fund for things that you don’t really need. Employer-Sponsored Retirement Plans: Almost every full-time employee will have access to a 401k or something similar. Take advantage of these accounts, preferably maxing out every plan you have access to if you can (assuming you have at least some decent investment options). It’s an easy way to save without having to exercise any self-control. Capital One 360: Everyone should have cash savings for short-term and longer-term goals. The best way to save for these type of goals is to automate your savings towards these goals. The key, though, is to keep that money separated from your primary stash. I have a bunch of different sub-accounts that I’ve opened up through Capital One 360. Each month, Capital One 360 withdraws a set amount from my primary bank account and into each of these accounts. I get to save without even noticing it. If you’ve never used Capital One 360, I highly recommend it. An example of my own short-term savings goals. I automate deposits into these accounts each month. It allows me to save without even trying. 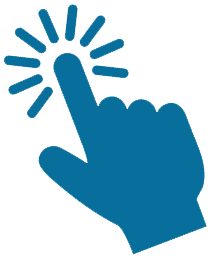 Albert: Even after you’ve done all of your saving, there’s value in trying to squeeze out a little bit more savings by using microsavings apps. I use Albert to do that for me. It monitors my checking account, figures out if I have a surplus, and saves small sums for me that it thinks I won’t notice. It’s like making your plate smaller by having someone else pull food off your plate that you probably don’t need to eat. If you find that you can’t handle the extra savings, just turn off the app. My guess is most of you will start getting used to seeing extra money getting saved every few days. And once you’re used to it, it’s not a big deal. Check out my Albert review for more info. Saving money might involve some self-control, I won’t deny that. With things like credit cards, it’s not all that hard to spend more than you have. But when you make your pile of money look much smaller, you’ll naturally start spending less simply because you’ll feel like you have less money to spend. You don’t need to force yourself to save. Just set up your savings once, put it as high as you can, and get used to living on the amount you see left over. No self-control needed. I use this approach and I like it, but… It only works for those that are limited by what they make. Some folks go deeply in debt on credit cards each month. These people need either self control or no access to credit, no money in the bank clearly has no impact. I’d recommend adding to auto savings and evaluation of what you spend to see what you truly value. Then if you can’t handle them removing the cards. I’ve always just sort of treated my credit card like it was a debit card, so limiting the amount of money I “see” has always been a good way to save more money. My best “no brainer” savings method is to cut the big expenses. You probably will miss $50/month from your account more than you will notice the difference in the house you can buy or rent for $X vs X-50. The same with the car. Heating or cooling a smaller place is an easier way to save money on electricity than following 101 steps to a lower electric bill. Totally agree! If you can cut your expenses when it comes to the two most expensive things we have – house and car – you can really set yourself up to save a ton more money. By the way, I’ve read your Kickfurther posts and I’ve also had some bad experiences with Kickfurther. It taught me a lesson about getting into weird investments. Mr. FAF and I don’t track every dollar we spend either. Our philosophy is to spend as little as possible. We discuss purchases bigger than $50. Our only weakness is food. There’s something so enjoyable and fulfilling about eating delicious Asian food that I just can’t explain! Food is my definite issue too. I feel like if I did budget and track my spending better, I’d be able to avoid the unnecessary food spend. A part of it is laziness – I just sometimes feel too tired to cook. Other part of it is a lack of planning – I just sometimes don’t know what to eat and then going out to eat becomes the default option. I m horrible at keeping to a budget, lot’s of great information to get me started. I like the idea of automating your savings and making it harder to access. Automating is the key! Get that money as far away from you as possible and you’ll figure out how to make do with the rest! We def. have fallen prey to credit card use but I try to move paycheck money over to savings as fast as possible when hubby gets paid. We have a Cap One 360 account and that Netspend one sounds interesting but I’m not really liking the fact that I have to open up 5 accounts per person cuz I can’t deposit more than 1k. Overall, great article! Thanks! Yeah, the Netspend accounts take a little bit of work, but it’s really not much work to set up. I look at it just 4 times per year and my wife doesn’t look at her accounts at all. I see the value a budget provides because it enables us to have a gauge on our spending. However, we struggle sticking exactly to our budget. We do use the automated method to max out our retirement accounts. It makes it much easier to save!! Totally does man. I’m always shocked at how much I’m able to put away each month just because I’ve set up my savings in advance. It’s true that budgeting really pays off with time. When I was asked to pay for my own car insurance, I was confused like never before. But it was a lesson that taught me to be responsible on road and towards managing my finances. I experience the same thing since I started to transfer money to my investment account the first thing when my salary arrives. If you want to save from whatever left at the end of the month, you probably end up saving nothing or very little. Exactly! We just all spend whatever is in front of us. And we can all make do with whatever we have left over. It’s just about setting it all up in advance. I don’t budget either but I do check my net worth weekly on Mint & Personal Capital. Why are they always different? 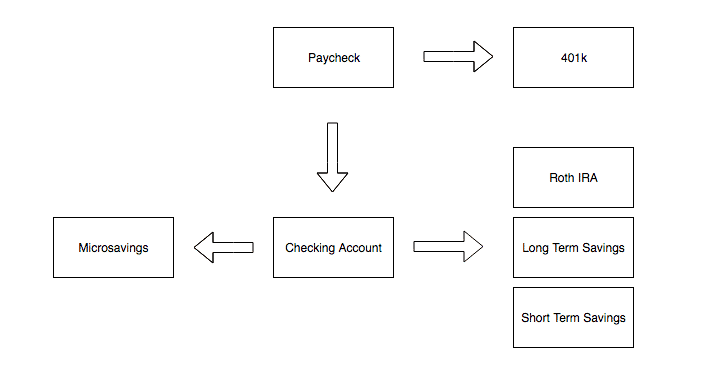 Anyway, my cashflow diagram looks like yours except I don’t have Microsavings. The only difference is the arrow goes from Checking to Short-Term Savings to Long-Term Savings to Roth IRA. Also, the arrow is bidirectional between Checking & Short-Term Savings to reflect months where I have unusually high expenses. What I do is monitor my checking account balance on the 1st and 15th of each month. I compare it to the balance on the 1st or 15th of the previous month, respectively. I consider the expenses I have due before the next paycheck and may or may not sweep money from Short-Term Savings to the Checking Account or vice versa based on account balance and upcoming bills. Some of the movement from Checking Account to Short-Term Savings is automated to encourage savings. I am also loathe to sign up for services with recurring charges. That is essentially automating your spending. Do you mean your Mint and Personal Capital accounts have different Net Worth Amounts? Mint tends to support more banks, so that’s probably why. Also, Personal Capital sometimes has issues tracking HSAs for some reason. Good point about signing up for services with recurring charges! It’s basically like the opposite of automated savings (which is why companies love subscription based spending). I’m terrible with budgets and don’t use them. 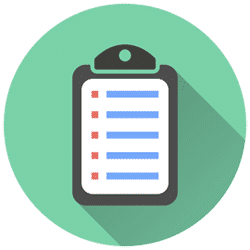 Similar to you I regularly monitor my cash flow and balances to be aware of what is going-on in terms of spending and make small adjustments as needed. Haha, that burger in your post is awesome! 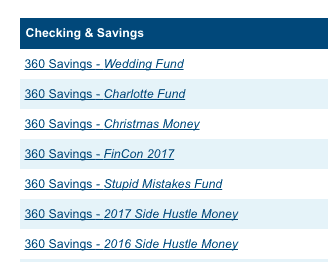 Automating my savings has been huge- I’ve created separate savings account for everything from future vacations to car funds thanks to Capital One 360! If you go with debit card and no overdraft, you’ll definitely force yourself to outwit your spending stuff. Can’t spend what you don’t have! If we do that maybe we’ll start prioritizing purchases or even looking for new ways to make extra money to spend on those luxuries. Great way to think about it – it’s not about forcing yourself not to buy stuff, but figuring out how you can buy the thing if you want it. If you think about it like this, you’re basically flipping your brain. Yes! This is one of the reasons we did a 15 year mortgage! An easy way to force yourself to live on less!